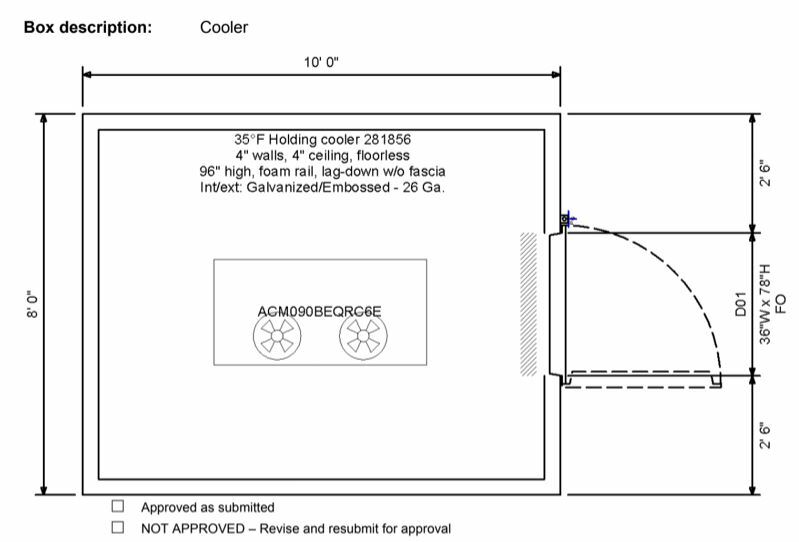 While we offer a selection of standard sized walk-in coolers, we also offer custom sized units that can be built to your exact specifications. Some of these features include walk-in panels that consist of inner and outer metal skins, a 4” insulation core with cam-action locking devices. Our cam-action locking systems combined with our heavy-duty gaskets provide an air tight seal between panels to prevent any air infiltration. 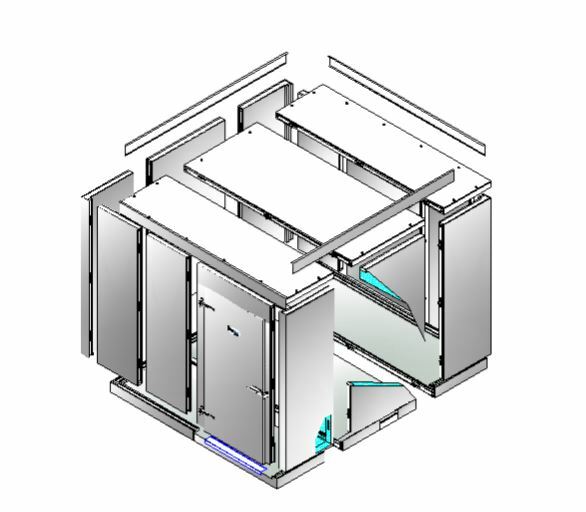 Indoor Box with Indoor or Outdoor Refrigeration.